What makes a hotel to the perfect city hotel? Central location, individual service, modern and stylished rooms and a delicious breakfast buffet with local and self made products. 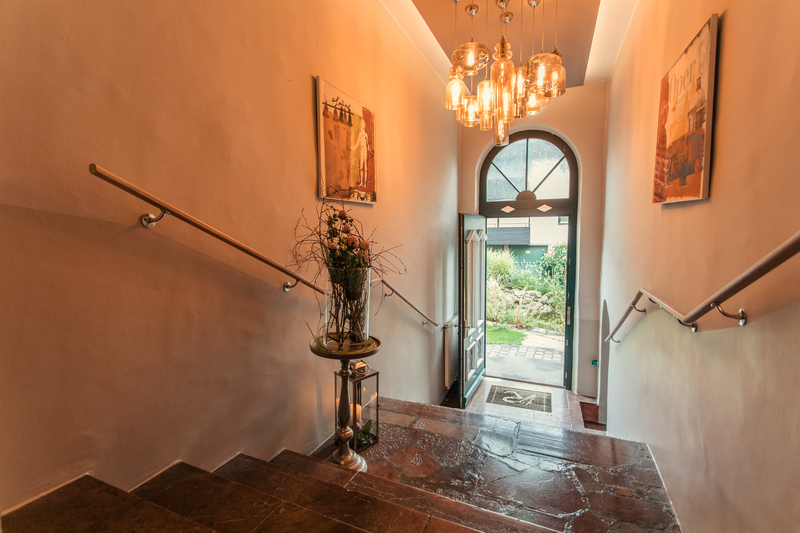 Only a 15 minutes walk from the historic centre of Salzburg, in the Hotel Rosenvilla you will find an idyllic home during your holiday in Salzburg. If you do not want to walk, a bus brings you every ten minutes to the city center. The bus station is just around the corner. Manager Christopher Fleischhaker and his team try their best to make your stay as perfect as possible. Insider tips, does and don´ts and restaurant recommendations are self-evident. 4 single rooms, 8 double rooms and 3 suites are available to choose from. Enjoy all the amenities of a personally run four-star hotel. Hotel Rosenvilla is a member of PrivateCityHotels, Europe’s largest Hotel cooperation of privately owned Hotels with members in Austria, Switzerland and Germany. Like all other hotels in the group, we offer you as our guests a charming mix of individual atmosphere and perfect all-round service and strive to make your stay a memorable one. All members of PrivateCityHotels. are medium-sized city hotels in a good location. They act completely independently and are 100% responsible for their own success in the market. You as our guests will benefit especially from the high quality of our offer, a requirement for all the houses of the group, which we seek to outperform over again.